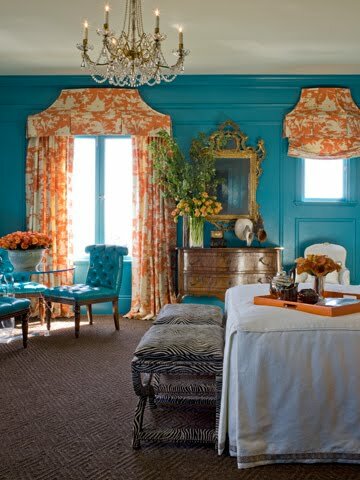 I adore the arrangement in this master bedroom. Don’t you? 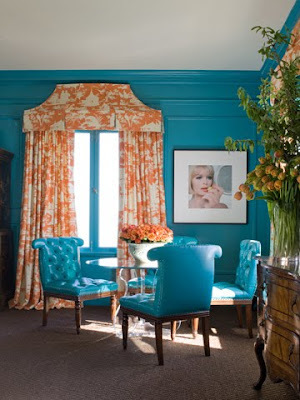 Great choice of traditional furniture with bold fabrics and high-gloss turquoise walls. 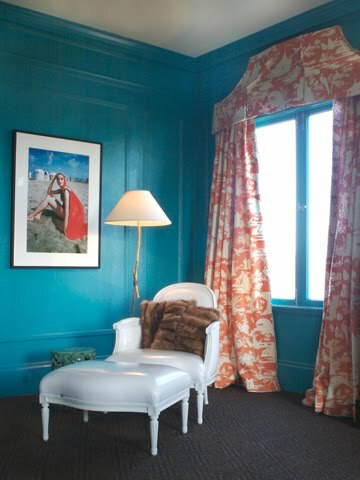 Simple white bed linens with a daring mix of unexpected accessories and tailored exotic fabrics. I love the antique gilt mirror, I want to find one just like it and buy it! I don’t think I’d ever have to leave the house!